SteelSeries Arctis Pro Headset Line Announced | Nerd Much? 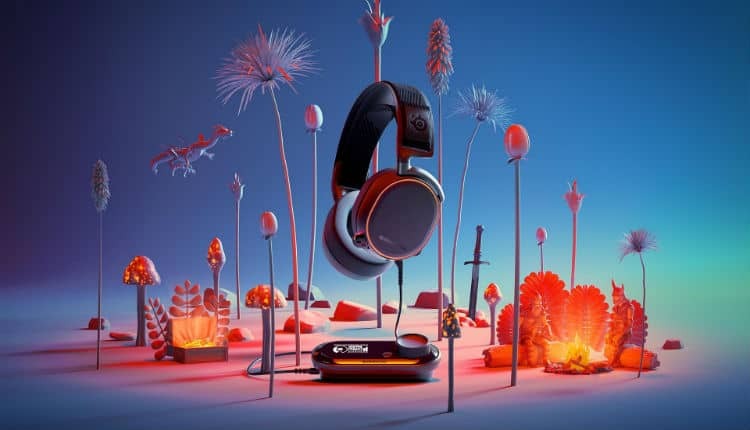 The Arctis Pro + GameDAC is groundbreaking in that it is the first high-fidelity and high-res certified audio system in gaming. It features the elite ESS Sabre DAC and amp and produces complete high fidelity audio. SteelSeries says that the GameDAC’s ESS Sabre chip “delivers sound quality beyond anything gamers on console or PC have ever experienced.” Specifically, it sports high-density neodymium magnets capable of producing Hi-Res audio of 40,000 Hz. Nearly double the industry standard of 22,000 Hz. The GameDAC comes with an OLED screen to help configure the device. With it, you can avoid having to go through additional software. Customizing EQ, surround sound, illumination, volume and chat levels with just a few button presses. There is also a wireless model within the SteelSeries Arctis Pro line as well. The Arctis Pro Wireless utilizes a lossless dual-wireless system which still produces the same sublime audio quality. A USB transmitter allows for 2.4 GB lossless audio in addition to Bluetooth for mobile audio. It equates to the same 40,000 Hz high-fidelity speaker drivers that the Arctis Pro + GameDAC has. The Arctis Pro Wireless has an OLED screen for configuration efforts. As well as swappable battery packs which last about 10 hours each. Both the Arctis Pro + GameDAC and the Arctis Pro Wireless are available now from SteelSeries. The former runs at $249.99 while the Arctis Pro Wireless lists at $329.99.